Custom built bungalow set on a large 50 x 118ft lot in prestigious Westbrook Meadows. Offering 3,000 sq/ft of finished living space, 3 spacious bedrooms, 3 full bathrooms, generous hardwood/tile flooring and custom window/door trim package. Spacious living room with gas fireplace, pot lighting open to custom kitchen w/granite counters, tile backsplash, crown mouldings, raised breakfast bar and built-in pantry overlooking the dining room surrounded by beautiful windows and garden door to large two-tier decking, gazebo and hot tub included! The master bedroom features large ensuite bath with separate soaker tub and 5ft walk-in shower plus his & hers walk-in closets! 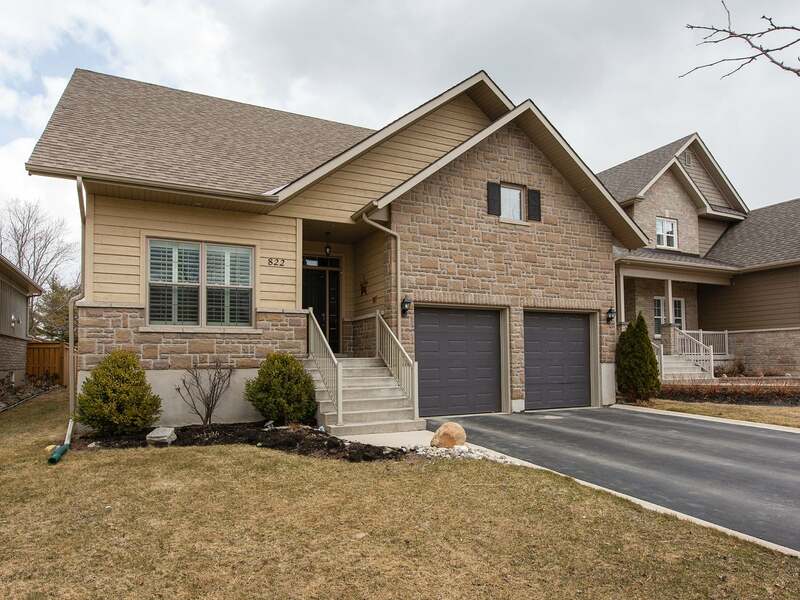 Fully finished lower level offers incredible amount of space, massive rec room w/gas fireplace, cork flooring, pot lighting, 3-piece bathroom plus den and office (both with closets). All this plus 9ft ceilings and laundry on the main floor, high efficiency furnace, central air, HRV, central vac, gas lines for stove, dryer and BBQ and much more! This beautiful home must be seen to be appreciated, setup your private viewing today! Lot Size 50ft x 118ft Sq. Ft.